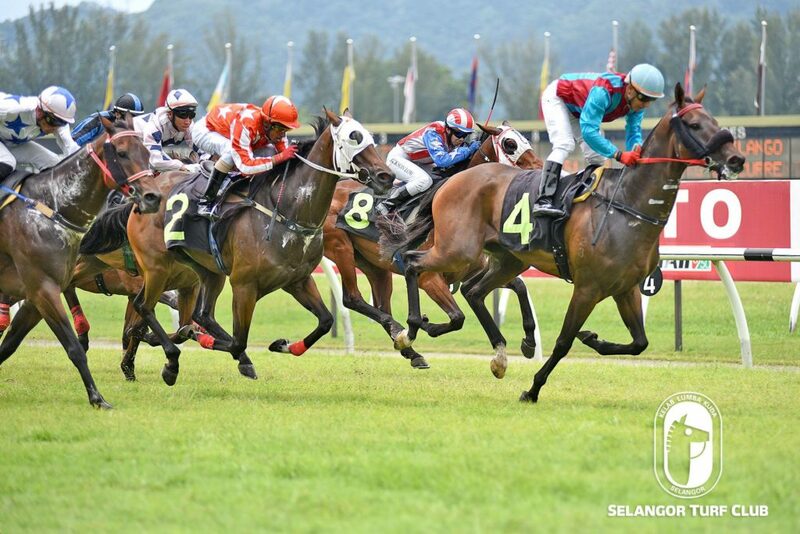 Confidence Stable’s Confound bears watching in the Stayers Stakes B event over 1800m in Race 6 at Selangor Turf Club on Sunday. On the track today (Friday), the five-year-old by Tavistock with a track rider on board cantered two round strongly looking a picture of fitness in the workout. Trained by Richard Lines, at the last outing, Confound was tucked in third spot most of the way but finish a game fourth to stable mate Karigara in a Class 4 (B) event over 1400m early last month. Confound has trained well and with Panamanian Jockey Oscar Chavez booked to ride, the combination should give a bold showing in the staying event. RACE 4: Sharon’s Star (Aucharuz) trotted on the first lap and did a canter on the sand lap. RACE 5: Tarzan (Aucharuz) just took it easy with a trot and a canter. RACE 8: Theses Streets was held on a tight rein for a canter. RACE 12: Monte Carlo trotted on the first round and then was given two rounds of strong canter.